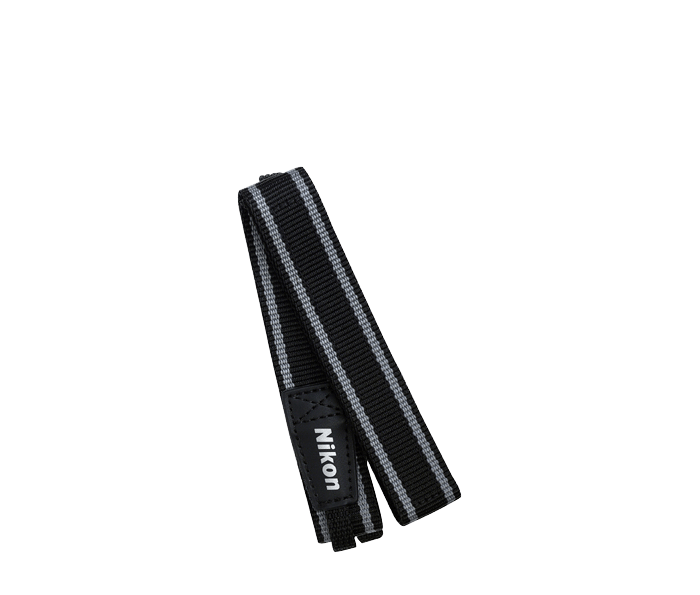 The AN-CP16 is a Camera Strap supplied with select COOLPIX digital cameras. The strap is wide and can be worn on the neck to make carrying the camera more comfortable. The camera strap is black with silver accents and Nikon is printed clearly.